The NextGen Leadership Society would like to sincerely thank you for attending the NextGen 2016 Forum on June 14, 2016 at the New Dawn Centre for Social Innovation, the NSCC Strait Area Campus and the Baddeck Courthouse. We would also like thank all those who were able to watch via the live stream. 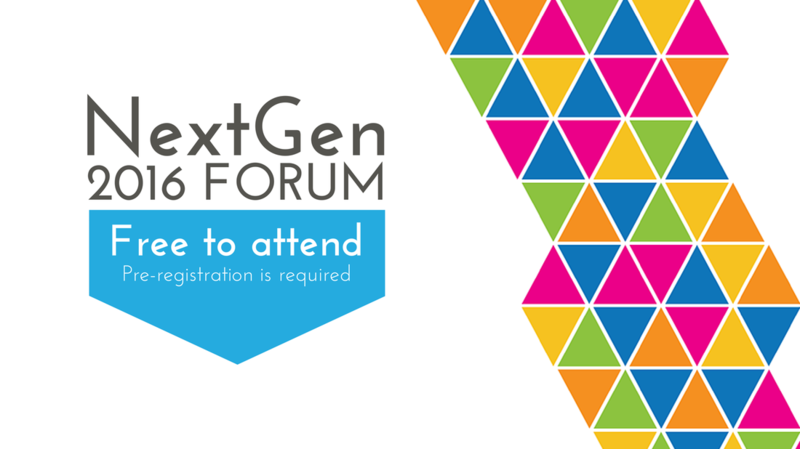 By attending the NextGen 2016 Forum, you are helping give the NextGen Leadership Society feedback and direction regarding their actions for the next year. Click here to view the Young Talent Strategy for Cape Breton Island. Engage, share and learn from Cape Breton's next generation of leaders on how to make our Island a region of choice. Doug Griffiths – President, 13 Ways Inc.
Kate Beaton is an award winning cartoonist who appeared in the comics scene in 2007 with her online work Hark! A Vagrant! Since then, she has become a fan favorite and has garnered a significant following, with illustrations appearing in places like the New Yorker, the Guardian, Google, Harper’s, Maclean's, the Globe and Mail, and Marvel’s Strange Tales anthology. Her first book with D+Q, Hark! A Vagrant, spent five months on the New York Times bestseller list, and topped best of the year lists from Time, E!, Amazon, and Publishers Weekly. Her second book with D+Q, Step Aside Pops, was also a #1 New York Times bestseller with six months on the list in 2015. In 2015, Kate also published a picture book, The Princess and the Pony with Scholastic, which received starred reviews from Publisher's Weekly, Booklist, Kirkus and School Library Journal. Having lived in Halifax, Victoria, New York and Toronto, Kate was excited to move back home to Mabou in December 2015. Sohaila Abdo is a 27 year old Egyptian National who attended business school at the Canadian International College in Egypt and moved to Sydney eight years ago to finish her bachelor degree at Cape Breton University. Sohaila decided to stay in Cape Breton to further her education and completed her Masters in Business Administration in Community Economic Development, also from Cape Breton University. During that period of working, studying and living in Cape Breton, Sohaila became a permanent resident of Canada. She met her husband here, who was also an international student (a Nigerian who moved from Egypt to Canada) at Cape Breton University. The Island then became home to the both of them. Sohaila had several occupations since her move to Cape Breton, some of which are technical and customer service related, sales, business development and legal interpretation services. She has been deeply involved with the resettlement of the Syrian refugee families that arrived in Cape Breton over the past few months and she currently works as a Settlement Counsellor with the new Immigration Centre at New Dawn. Sohaila shares the passion of both local and international contributions to help foster a more vibrant, culturally diverse and innovative community. Michael R. Denny is a well-respected young individual and traditional teacher. He is a fluent speaker of the Mi'kmaq language, an avid supporter of the Mi'kmaq culture and an active volunteer in his home community of Eskasoni with the community powwow and other cultural events. Michael is a singer and danger of the traditional Mi'kmaq dance, Ko'jua and a Powwow singer and dancer. Since 2002, Michael has been the drum keeper and lead singer for Atlantic Canada's premier drum group, Stoney Bear Singers. As a drum keeper, he upholds the most respect and honours the drums' teachings by staying sober and attending traditional ceremonies. Michael has been an entrepreneur for years, providing services such as cultural sensitivity training, cultural workshops, organizing cultual events, powwow singing/dancing, emceeing events and providing other types of culturally related services within Cape Breton an to the rest of the Atlantic provinces. In 2010, Michael started working with Indian Residential School Survivors as a Resolution Health Support Worker. This position is very dear to his heart as his father is an Indian Residential School Survivor, along with several of his aunts. This ties in to the cultural revival that he is teaching because the culture has been lost. Michael has been teaching many other Mi'kmaq youth throughout Mi'kma'ki. When he isn't travelling to powwows, Michael enjoys fishing, hiking, hunting and exploring Cape Breton Island. Ashley McKenzie is an emerging filmmaker from Cape Breton Island. Her 2015 short film 4 Quarters screened at TIFF, VIFF, Stockholm IFF, Festival du nouveau cinema, and won Best Short Film at the Atlantic Film Festival. With her previous work, Stray (‘13), When You Sleep (‘12), and Rhonda’s Party ('10), Ashley has earned a spot on Canada's Top Ten Shorts list by TIFF, been a three-time recipient of the Shaw Media Fearless Female Director Award from the National Screen Institute of Canada, and won CBC's Short Film Faceoff. She is an alumnus of the TIFF Talent Lab and co-owner of grassfire films. Her first feature film, Werewolf, was shot across Cape Breton and will be released this Fall. ​Tyler Sack is the Group Product Manager at Orenda Software Solutions, an online brand monitoring company that recently won zone five in the Innovacorp I-3 Technology Start-Up competition. Tyler received his BA in Sociology and Anthropology from Saint Mary’s University and his MA in Sociology from the University of Guelph. His research on cultural authenticity was framed within postcolonial theory, double consciousness, and identity construction. Tyler moved from Cape Breton to mainland Nova Scotia as a child, but has returned to his home community of Membertou after achieving his academic goals. A proud citizen of Unama’ki, his favourite things about the Island include the golf courses, natural scenery, and the stories people share.